Action/Drama/Gainful, Canada/USA, 1998, 165 min. Tagline Every man fights his own war. Synopsis In World War II, the outcome of the battle of Guadalcanal will strongly influence the Japanese advance into the Pacific theater. A group of young soldiers is brought in as a relief for the battle-weary Marines. The exhausting fight for a strategically-positioned airfield that allows control over a 1000-mile radius puts the men of the Army rifle company C-for-Charlie through hell. 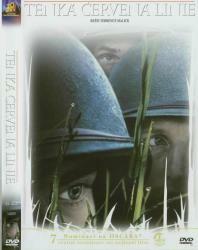 The horrors of war form the soldiers into a tight-knit group; their emotions develop into bonds of love and even family. The reasons for this war get further away as the world for the men gets smaller and smaller until their fighting is for mere survival and the life of the other men with them.